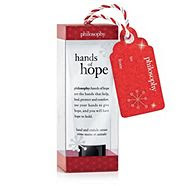 The Philosophy gift pack looks real nice. The price is good to try all those products out. The cleanser sounds great, that is a very important step in skin care helps with the fastest way to get rid of acne for breakout-prone skin.